Under the direction of our doctors successful forms of therapy are carried out in the Dolphin Therapy REHA Centre. The team comprises several specialists. Our doctors are specialised in the application of therapeutic treatment for patients of one year up to fifty years of age. A particular treatment of various illnesses has been developed and is applied here using the help of Bottle-nosed Dolphins. 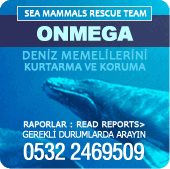 Using these unique methods we have specially trained “Dolphin Doctors” working in our Therapy Centre in Marmaris.